If you have limited space for gardening, it pays to think about what fruits or vegetables will give the most "bang for the buck". Pictured is a one picking of raspberries from the patch in my backyard. The row is about 18 inches wide by 30 feet long. This is the largest daily take, but the season lasted about 3 weeks. Raspberries are easy to grow and love full sun. 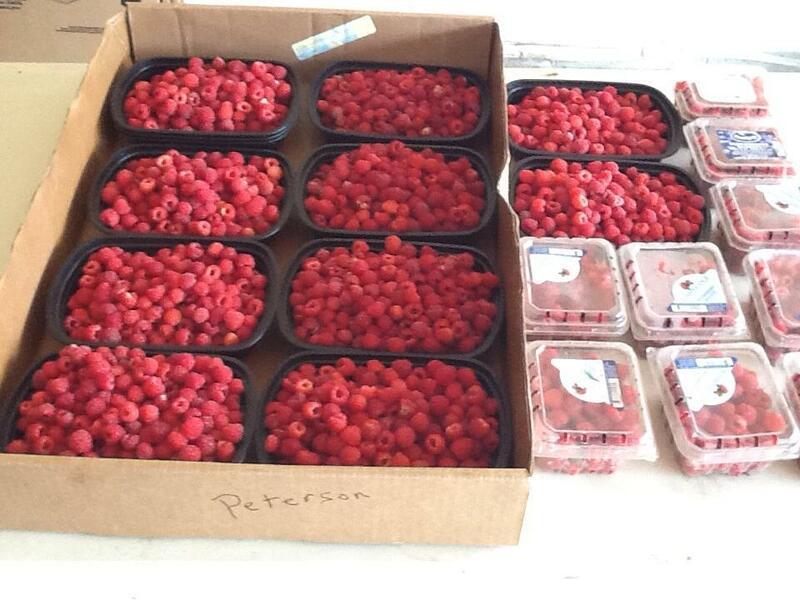 For complete instructions on the care of raspberries, I am including a link to the University of Minnesota Extension Service.